Red is the new Black. Red Red Red. I can’t tell you how much I love this color. 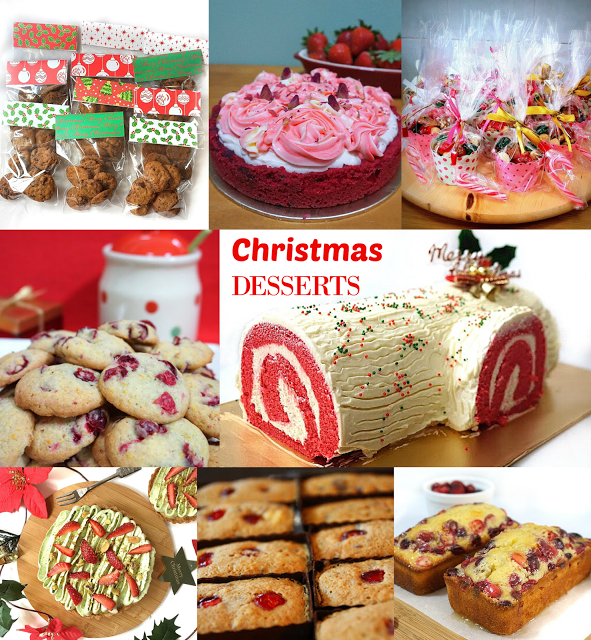 Often associated with the word love, Valentine’s day and now Christmas, It’s a perfect time to make a Red Dessert. 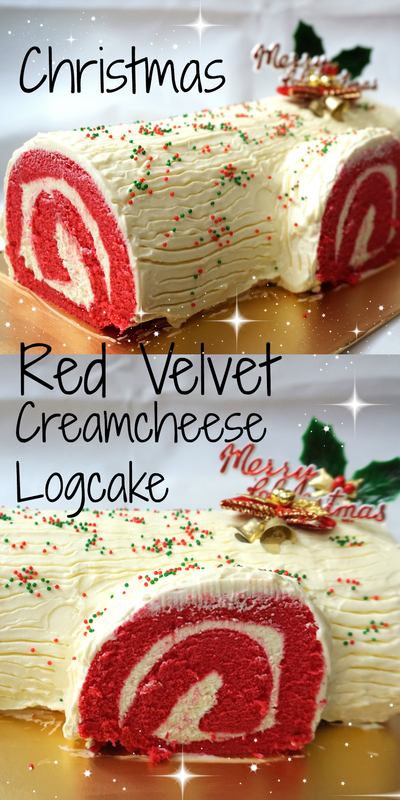 After much thought, I decided to go down the lane of making a red velvet log cake. I love how the red color contrasts against the white snowy frosting. It makes the cake pop! I used the basic vanilla roll recipe and added in a little red gel ( Depending on how red you want your cake to be). I started with 2 tsp of coloring but the cake was more pink than red. Of course pink velvet is pretty as well but I wanted a redder cake so I added in a few drops of Wilton’s red gel. Wilton’s gel is thicker and less liquid in nature so the colors are bolder compared to liquid red extracts. Do remember that if you’re adding in more liquid than as stated in the recipe, do reduce the cream content by the same amount of extra coloring you add in. 5) In another bowl, beat the egg yolks with remaining ¼ cup sugar until pale yellow about 2-5mins. 10) Pour cake batter into swiss roll pan and spread evenly. 11) Bake for 7-12 mins until a tooth pick inserted comes out clean. 2) Remove the parchment paper below the cake and place a new clean sheet of paper over. Flip cake over once more. 4) Starting from the shorter end of the cake, roll the cake and wrap tightly in the paper. 6) After the cake has set, unroll the cake and spread remaining cream cheese over the logcake. 7) Use a fork to create lines along the log. In your cake directions, there is no mention of when to add the salt, but you have salt listed in the ingredients. Hi Scot! Thanks for mentioning. I missed that out in my steps 🙂 It's added together with the flour step! Hi Jacquis,I use a 9 by 13" pan.